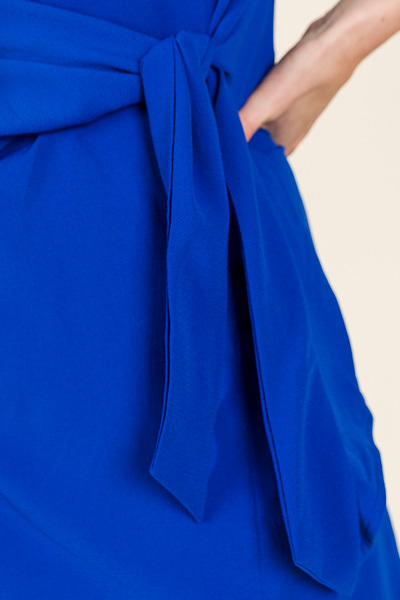 This royal blue dress gets an upgrade with this adorable tie waist version! The tie at the waist accents your shape while also looking extra stylish. Back zip for closure. Dress is lined. Fit is true to size. Stacy is wearing a small. Length measures approximately: S=32" M=33" L=33.5"